An average-sized deer can yield up to 70 pounds of venison--and there's only so many venison steaks and burgers a person can swallow. Enter the Loders' venison cookbook, with options for creating a different delicious venison meal every night of the week. Homemade recipes complemented by fresh vegetables and seasonings await the chef: from pot-roasted venison in red wine to tasty venison corn chowder, there is a recipe to suit every palate. 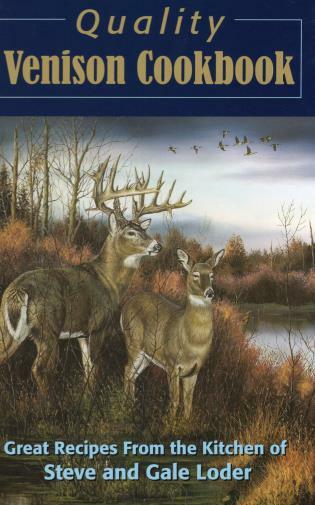 The only cookbook deer hunters need to satisfy their culinary whims. Steve and Gail Loder have over thirty years' experience in creating and preparing venison recipes. They live in Cranberry Township, Pennsylvania.